Pain can strike at the most inconvenient times. So, in search of pain relief you go to the bathroom cupboard to look for something to take away that incessant discomfort. As you look into the cupboard you see a box of paracetamol and a box of ibuprofen, but which one should you take? London Doctors Clinic will shed some light on what each drug is designed to do, when and how often you should take it. What’s the difference between Paracetamol and Ibuprofen? Paractamol and ibuprofen are both painkillers; they both take away your symptoms of pain. But they have different mechanisms of action, different drug interractions to be aware of, and are broken down differently. Paracetamol – otherwise known as acetaminophen – is a mild pain killer (analgaesic), but it also acts to reduce fevers (antipyretic). The exact mechanism of action of Paracetamol is as yet unconfirmed, although scientists are currently working on various hypotheses. Paracetamol should be used to reduce pain caused by toothache, headaches, joint and muscle pain – such as mild arthritis pain. Paracetamol does not need to be taken after food and can usually be safely taken with other medications. It is possible to take paracetamol and ibuprofen at the same time, as they work in the body in different ways. Paracetamol is available in a variety of forms; it is most commonly taken as a 500mg capsule or 500mg tablet; however it can be taken as a liquid for children and can even be given intravenously in hospitals. It is safe for children to take paracetamol at the appropriate dose for children. There is no evidence to suggest that paracetamol is harmful to take during pregnancy. Many pregnant women take paracetamol for pain relief during pregnancy. It’s also safe for breast feeding mothers to take paracetamol. 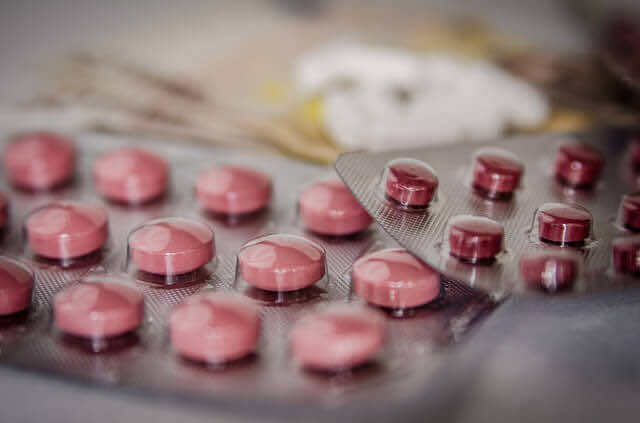 If you suffer from liver or kidney problems it is important to consult your doctor before taking paracetamol, since paracetamol is predominantly broken down by the liver. Overdose of paracetamol is potentially very harmful, and anyone who thinks they may have taken too much paracetamol should seek urgent medical attention. Since paracetamol is mainly broken down by the liver, overdose can lead to acute liver damage (hepatotoxicity). When taking cold remedies, it’s important to be aware that these commonly contain paracetamol too. Taking both cold treatments and extra paracetamol tablets for example should be avoided, to prevent the risk of accidental paracetamol overdose. Ibuprofen is used in a very similar way to paracetamol; it treats pain but can also be used to treat fever. The main difference is that ibuprofen reduces inflammation. Ibuprofen is a type of drug called a non-steroidal anti inflammatory (NSAID). This means that ibuprofen will reduce inflammation. In the body, inflammation occurs for a variety of reasons: it may be a sign of infection or it is the body’s response to damage. Although the pain-reducing effect will occur shortly after taking the drug, the anti-inflammatory component can take weeks to work optimally. Ibuprofen is available in a number of different forms: capsules, tablets, sprays, gels and creams. Ibuprofen gel is a popular remedy to back pain and muscle pains, as they provide effective, local pain relief. Pregnant women should always take advice from a doctor before taking any medications. During pregnancy, paracetamol is generally a more appropriate painkiller. Ibuprofen should be completely avoided in the third trimester of pregnancy, as it can affect the foetal heart. Ibuprofen can interact unpredictably with drugs therefore it is very important that before taking ibuprofen you check that the other medications that you may be taking do not have any interaction. Overall, both paracetamol and ibuprofen are wonderful drugs that can relieve pain quickly and can be easily accessed over-the-counter of a pharmacy. It is important to be aware of which is the more appropriate drug to be taking depending on the nature of your pain. Always make sure you read the drug leaflets to be conscious of drug interactions, side effects and dosages. If you feel unwell following taking either of the pain killers contact a London GP as soon as possible. As always, LDC offers 15 minute appointments for £59, the most affordable private GP in London.